hello everyone! 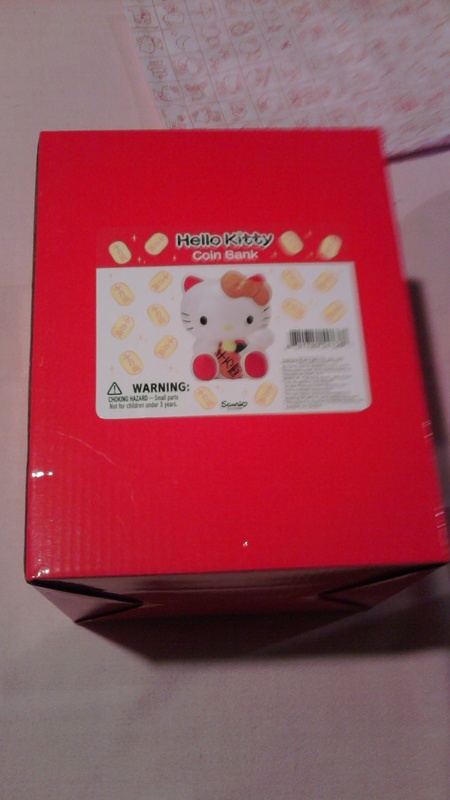 i made an order with sanrio.com recently, and the items arrived today so i thought i would give you a little review. 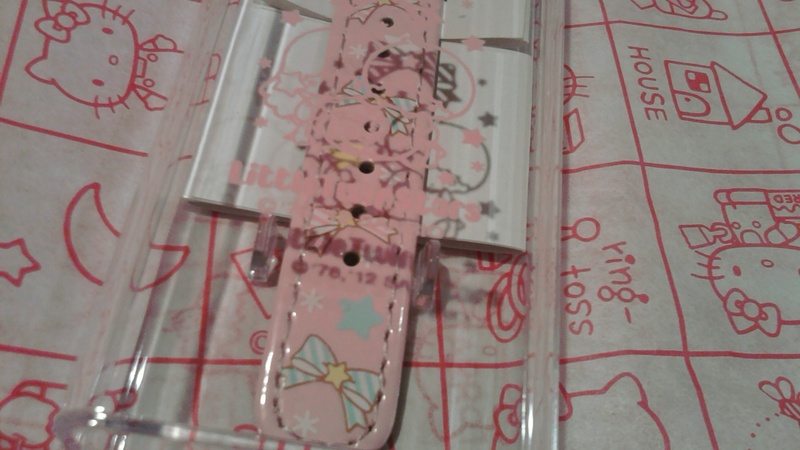 i made a short review of sanrio once before, but i think it's good to share repeated experiences with a company and show what's good about these specific products. what i ordered was a little twin stars watch for my mom, a backpack for me, and with our total we could also add a hello kitty coin bank for free! 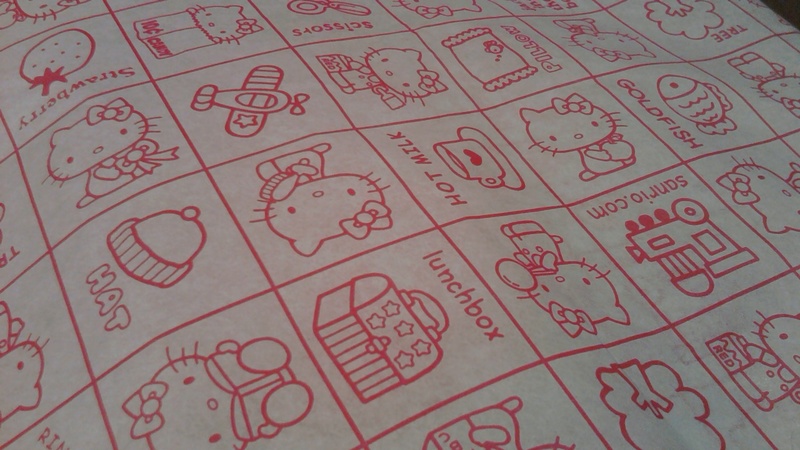 sanrio often does free giveaways like this where they'll include freebies with an order over a certain amount. unlike other stores though, the amount usually isn't crazy high like over $100. 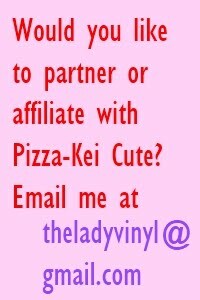 for example, right now if you spend $75 or more you get a free hello kitty perfume and free shipping, and with a purchase of any amount you get a free shopping bag. cool, huh? the only problem with this is that i think you can only apply one code at a time, so you might have to choose. 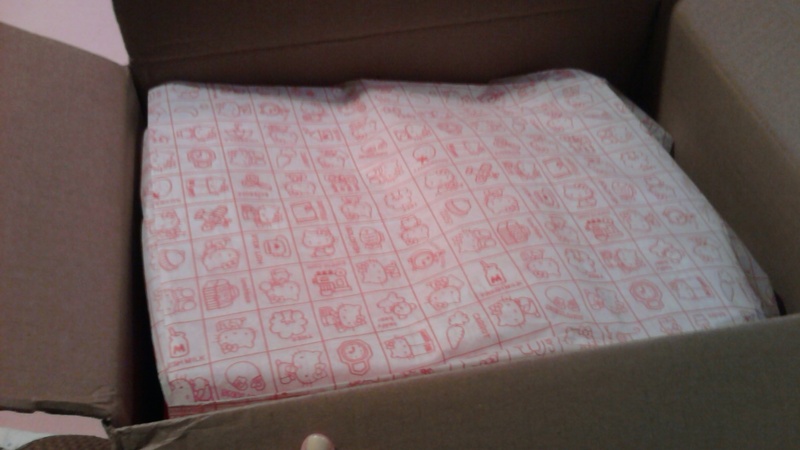 i chose the coin bank freebie over free shipping. 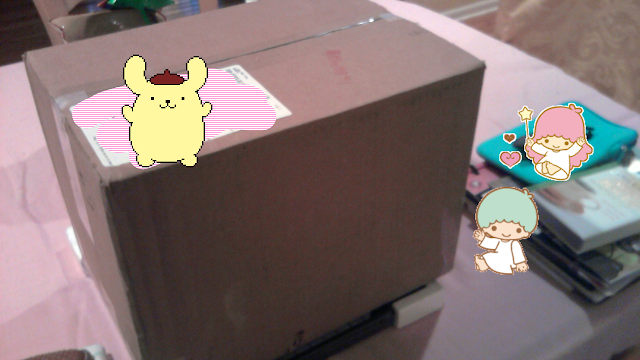 it came in a big regular brown box as usual, but as soon as i opened it i found a cute surprise! 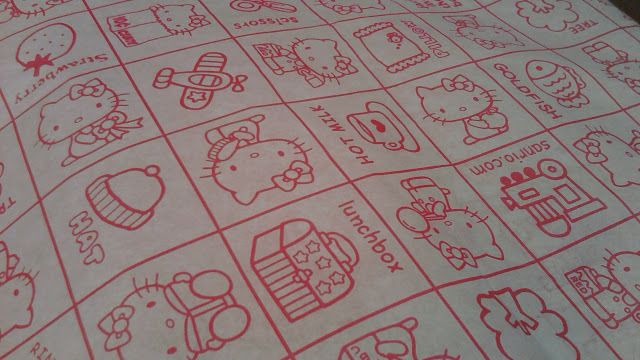 it's cute hello kitty tissue paper!! it was itemized on the receipt as a free bonus and i don't know why, but i love it. it was just folded nicely on top and wasn't wrapping anything so i'm saving it! 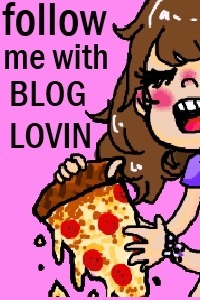 it's really cute. underneath the paper was the free coin bank! i wasn't expecting it to be so big and ceramic, but since it's usually like $30 i think, it was definitely worth the value. it's really cute! the paint job is really nice quality and it's not too fragile to use. as you can see it's pretty big in relation to my DVDs behind it. it fit nicely on this TV cabinet though so i'm displaying it there! 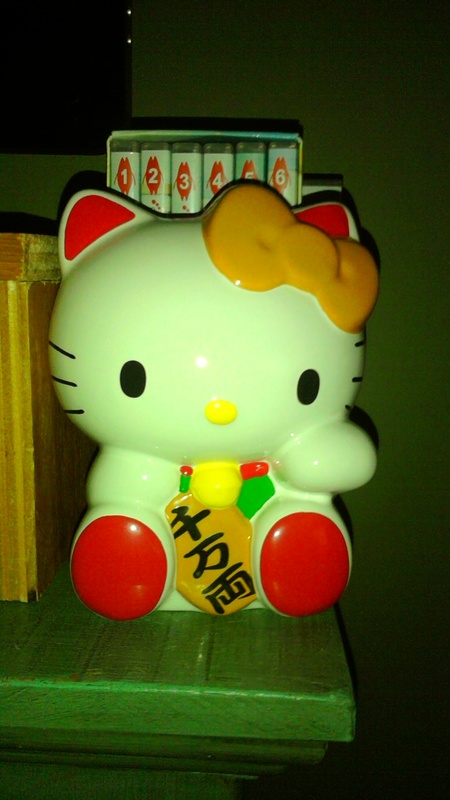 it's so cute and i'll definitely be using it for saving up my loose change. underneath the bank, nicely protected with bubble wrap and cardboard was the watch! the band is printed very nicely with adorable little twin stars related bows and stars, and the face has kiki and lala with a free-floating star charm. 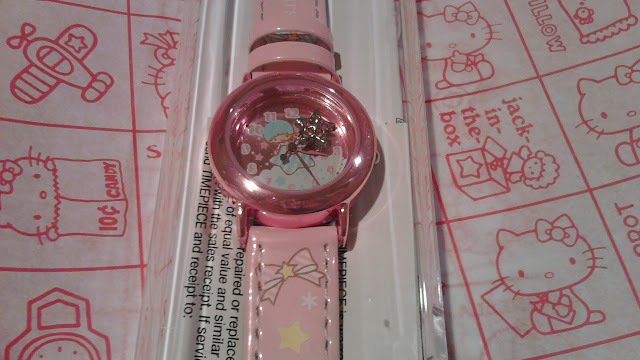 i don't know if the star charm is supposed to be free inside the watch face like that, but i don't see where it would normally attach so i think it's intended to be like that. the design of the entire watch is super cute! the quality is also really good and doesn't look cheap at all. my only qualm is that there's a japanese warning or alert of some kind on the box that i don't know enough japanese to read. we haven't checked out the booklet yet though so there may be a translation in there. 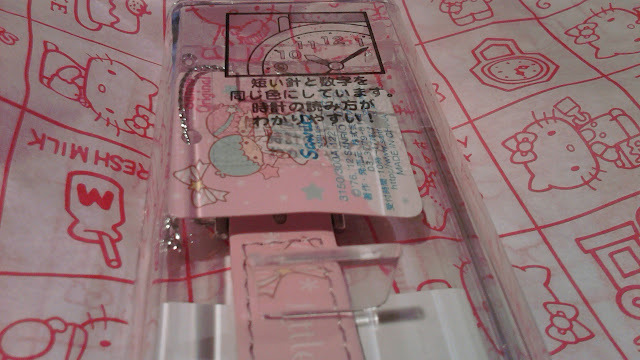 it was protected in a clear plastic bag that had a hole for the tag to stick out. i love when products have such cute tags! i always save them. now, i'd been eyeing this backpack since i saw it on tumblr ages ago but i only recently saw that it was for sale on the US site. 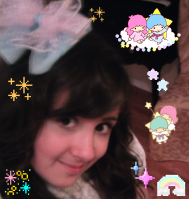 it's become a popular item in fairy-kei and other kawaii culture fashions and i can see why! 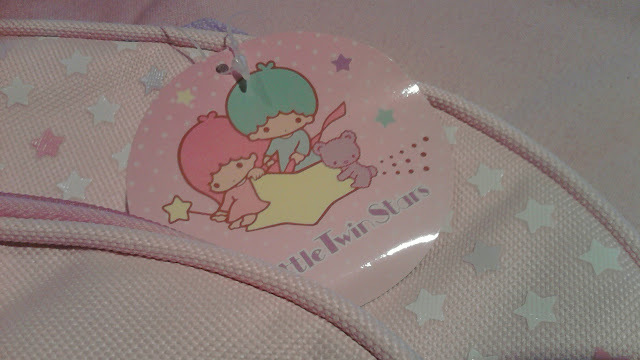 the design is absolutely perfect, and i think this is now the cutest bag i own. the size of the design on the front is perfect, and all the colors are wonderful. the print quality is really nice as well. 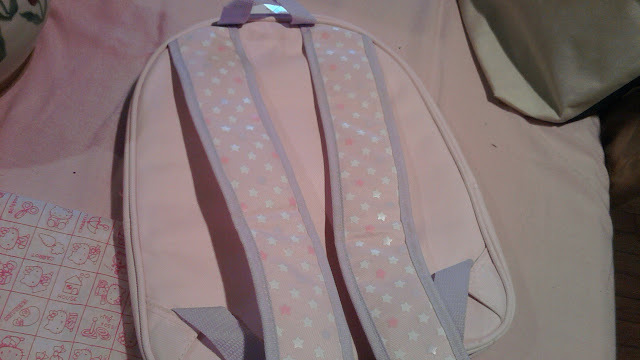 since it's supposed to be a backpack for a really little kid, i wondered if the sturdiness and size would be ok. well, the material is fantastic. it's very sturdy and seems like it could easily carry a lot of weight without warping or getting damaged. it was actually adjusted too big for me and i had to tighten the straps. all the colors of the backpack are totally perfect but i love how the straps have such a wonderful complementing lavender on them. the little stars are so cute and the straps are padded so it's comfortable to carry. you could also carry it by the top loop if you dont want to wear it as a backpack. 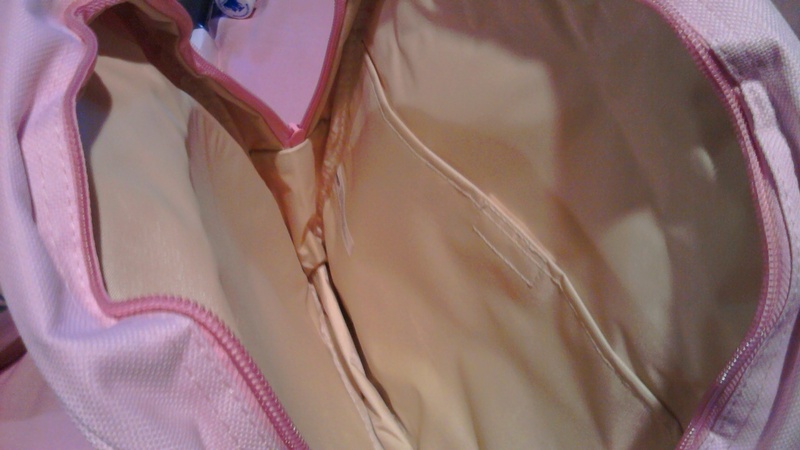 the front pocket with kiki and lala on it is flat and lined partially with yellow waterproof plastic. i think it would be good for keeping your wallet and gum or other flat stuff in, since it doesn't seem to expand a lot. the bigger pocket has lining on both sides, as well as a pocket that closes with velcro. the whole big pocket expands and seems to be able to hold a good amount! 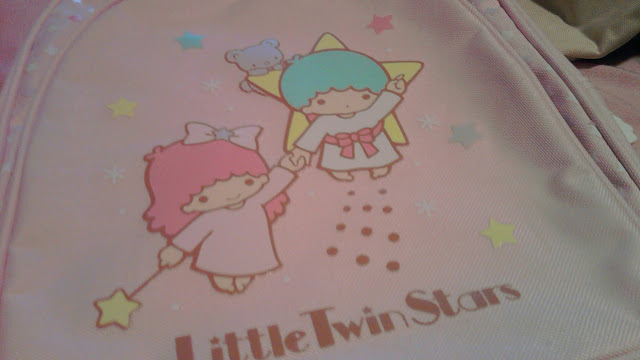 because it's a mini backpack though, i'd only really recommend using it as a purse. i don't think it'd be very good for toting a lot of school stuff and hefty textbooks, but it seems great for holding a big purse worth's of items. i think it'll be great for me to use this summer because i can put my sketchbook and planner in it. 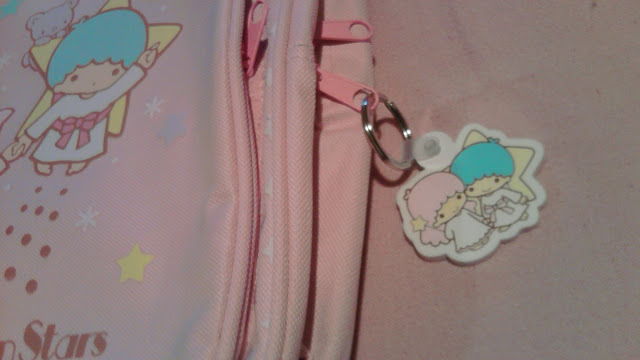 i put my little twin stars keychain on it and it didn't scratch any of the pink off of the zipper either! the shipping took longer than estimated but that worked out great for me because i was on spring break! i love the coin bank and think it is an awesome freebie, and love the extra tissue paper too. the prices of everything were fair and i was happy with everything about the transaction. the quality and price were both good. 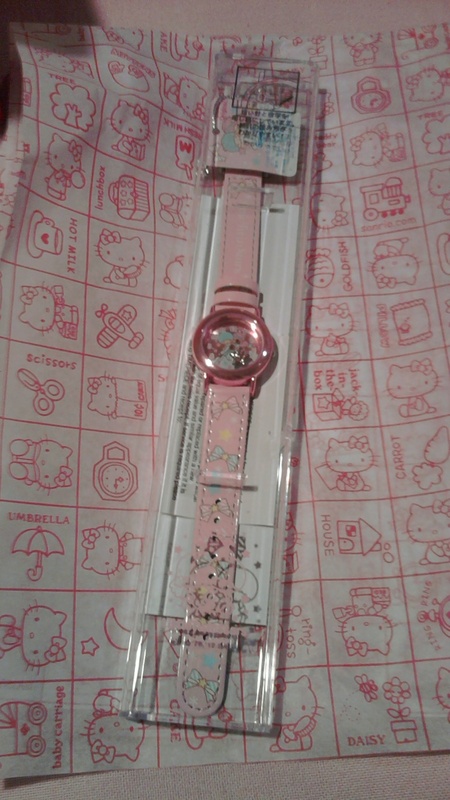 it's a super cute watch! i couldn't be happier about the quality and design of the bag. it's so adorable and totally wonderful! 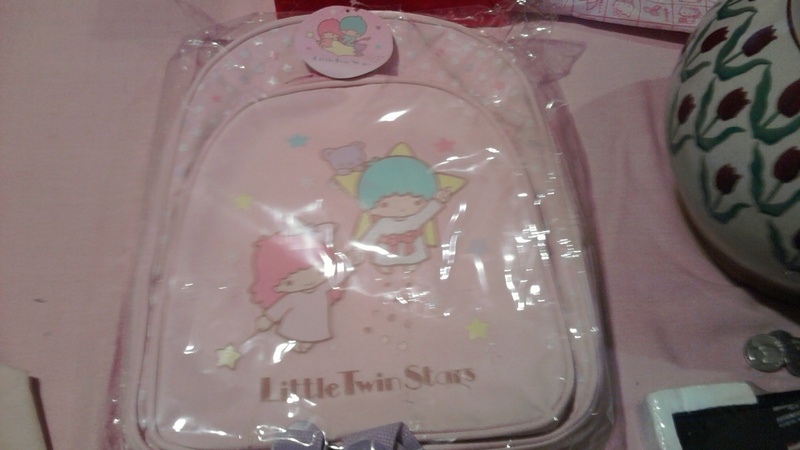 overall i was super happy with the whole order and will still be ordering from sanrio.com in the future as long as they stock little twin stars and other cute stuff i can't find anywhere else!